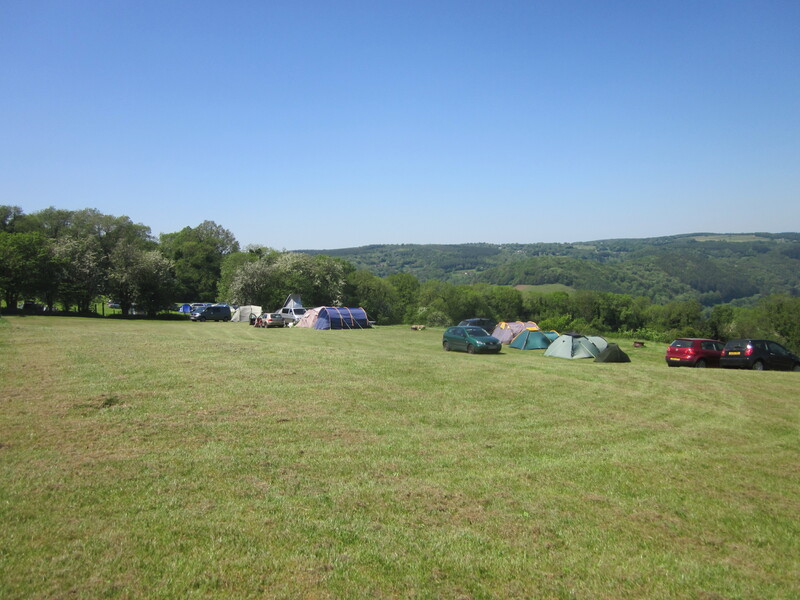 Campsite Review Updated – Beeches Farm, Chepstow, Forest of Dean. How much: £6 per adult, £4 per child, under 3’s free. £2 per dog per visit! 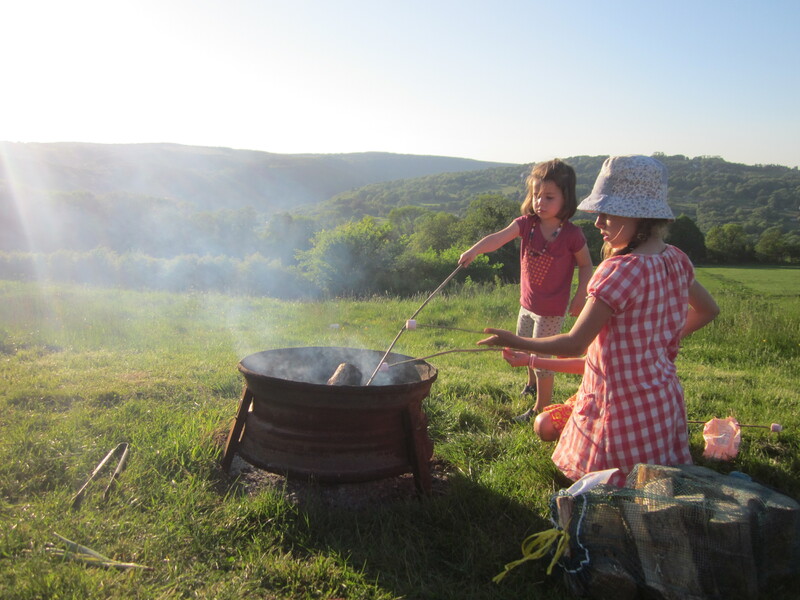 Campfires: In stone fire pits or very strurdy braziers, free. Types of camping: Tents, campervans, caravans, motorhomes. Electric Hook up available. Facilties: Toilet and shower block with indoor and outdoor washing up facilities. The Review: A return visit to Beeches Farm, can’t resist an update to my original review. First things first, getting there – print out the directions and take them with you. Sat Nav hasn’t got a clue. Secondly, if it is going to be a nice weekend, email and book as early as possible and ask for a pitch in God’s Window. If you are quick enough you will get a pitch right at the front of the site with view like this. However, if you don’t get a God’s Window pitch don’t be glum, there are lovely views all over the campsite, its just this is the best place if you want nothing in front of you. They have a large overflow field so you can usually get a pitch. There is lots of space, pitches indicated by the placement of the sturdy metal fire braziers or stone fire pits in some places. You don’t have to pay to hire them, logs and kindling are available to buy. Adjacent to the campsite, accessed in the bottom corner, are the fabulous Tydenham woods. Follow the path and signposts to the Devil’s Pulpit for a lovely forest window view of the winding river Wye and the ruins of Tintern Abbey. Ask the friendly and helpful chap who runs the site for directions if you aren’t sure. 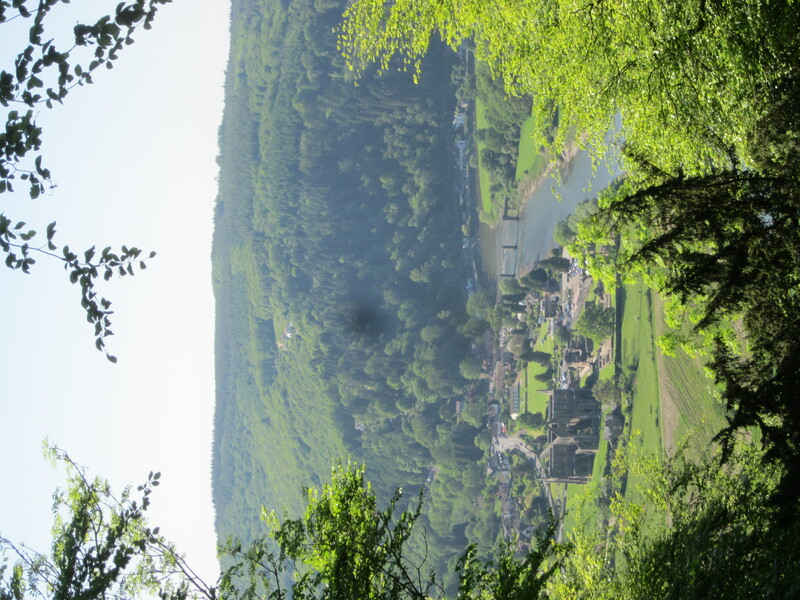 Or take the path down to Tintern for pubs, tea rooms and the opportuunity to visit the famous ruin. A steep walk back from Tintern though. There aren’t any streams or ropeswings but there are lots of slopes and wide open spaces. 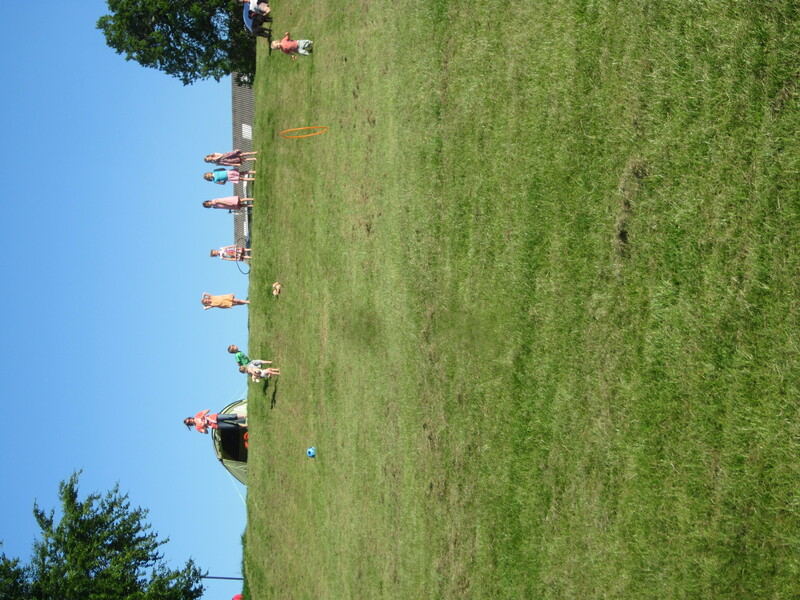 It never ceases to amaze me how much fun a child can have with a good slope. Roll down it, run down it, roll hula hoops and balls down it, have a race back up – seriously it can keep them entertained for ages. If you go at the right time you may also be lucky enough to find a pen of baby piglets, irresistibly cute for children and adults alike. 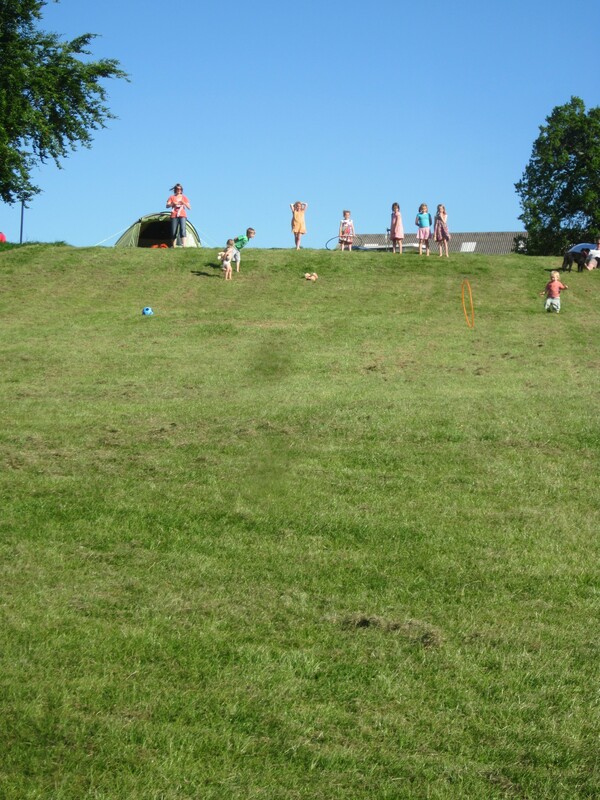 Beeches Farm is on the edges of the Forest of Dean which holds outdoor adventures galore. Canoeing on the Wye, climbing through the trees at Go Ape!, exploring at so many different sites through out the area. 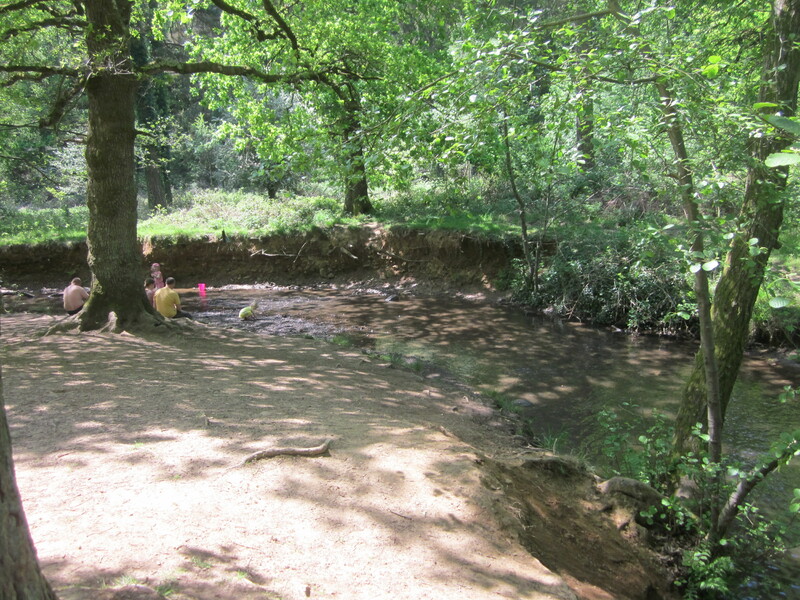 We visited Wenchford for dappled shade and a fantastic shallow stream winding its way through the site. It is a very popular place but there is lots of space for picnics and barbecues and the stream is unbeatable. This visit was sunny and wonderful, last time it rained. Even then the views are fabulous and the woods provide cover if it is a bit on the rainy side. 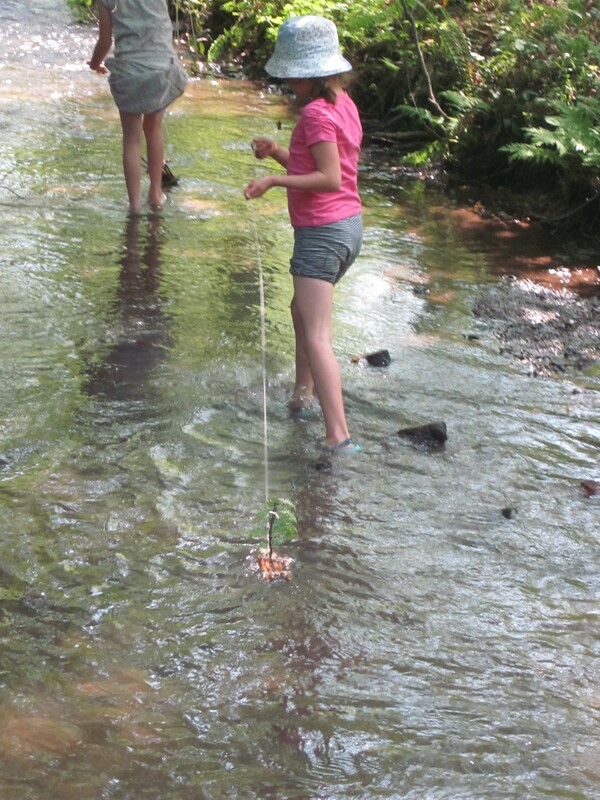 Tips on how to get your kids to enjoy a longish walk to come in a future post. Chinese lanterns – maybe not. How to get kids to enjoy a walk! Thanks john, camping is the best family holiday isn’t it! Thanks for commenting! I am so glad to find your website. My ideal of camping is like yours too. Do you have anything in mind for the list my 11 son gave me? Camping in a wood, secluded, not a lot of people, firework, river nearby for our own inflatable boat. We are in Cambridge and my husband hope not drive more than 4.5 hours one way. My first thought is – Forest of Dean, though I never been there before. Hi, thanks for stopping by. Glad you find it interesting. 4.5 hours will get you almost anywhere! Combination of woods and river is hard to come up with to be honest. Check out Haddon Grove in Derbyshire, I haven’t been there but looks good, wooded areas, short walk to small weirs and shallow pools – not sure how big your boat is? Forest of Dean is lovely but I don’t know of any campsites near the water. Sorry, I can’t be of more help, do let me know if you find a gem! Being based in Bristol, Beeches is one of our favourite sites. We are in a small camper (VWT25) & love it. Having no kids, we get to go mid week when you get the whole place to yourselves & maybe 2 others.